In order to optimize the design method and improve the performance of hydraulic retarder, the numerical simulation of multi-field coupling of heat, fluid and solid is carried out to hydraulic retarder, based on the numerical computation and algorithm of heat-fluid coupling and fluid-solid coupling. The computation models of heat-fluid coupling and fluid-solid coupling of hydraulic retarder are created. The three dimensional model of hydraulic retarder is established based on CATIA software, and the whole flow passage model of hydraulic retarder is extracted on the basis of the three dimensional model established. Based on the CFD calculation and the finite element numerical simulation, the temperature field, stress field, deformation and stress state are analysised to hydraulic retarder in the state of whole filling when the rotate speed is 1600 r/min. 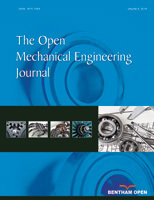 In consideration of rotating centrifugal force, thermal stress and air exciting vibration force of blade surface, by using the sequential coupling method, the flow field characteristics of hydraulic retarder and dynamic characteristics of blade structure are analysised and researched based on multi-field coupling of heat, fluid and solid. These provide the theoretical foundation and references for parametric design of hydraulic retarder.